In addition to the many prints and books we bring to auction, Swann often handles original works of art that come to us and need to be authenticated. In this post, we take a closer look at the typical authentication process through a Max Liebermann drawing that was consigned with scant provenance, exhibition, or publication history. 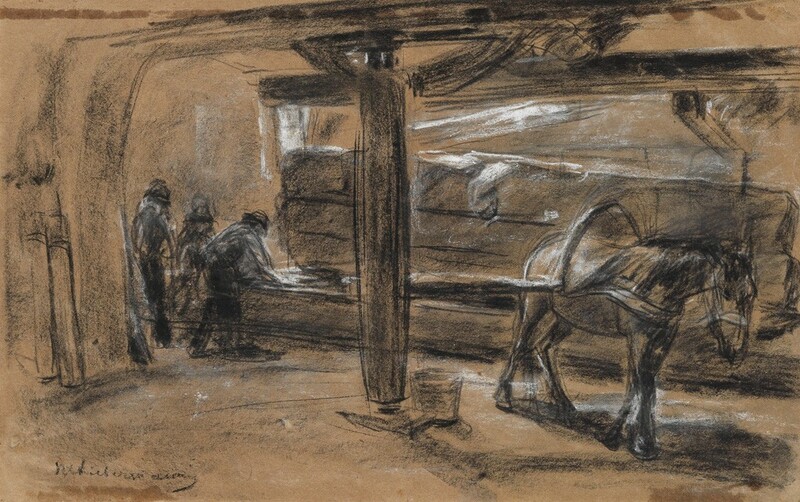 Lot 441: Max Liebermann, Tuchwalke in Florenz, black and white chalk, 1893. Estimate $7,000 to $10,000. The first step in this situation is to consult the catalogue raisonné, the published listing of all known works by an artist. The drawing in question was not illustrated in any of the raisonnés, so the detective work commenced. We always start with a physical examination of the artwork. In this case, we were in search of any clues that may give us leads regarding provenance or exhibition history, such as inscriptions, stamps on the paper or old labels on the frame. What we find here may lead us to scour readily available secondary sources like decades-old exhibition catalogues, art reviews or published gallery records in hopes of finding mention of the work in question. 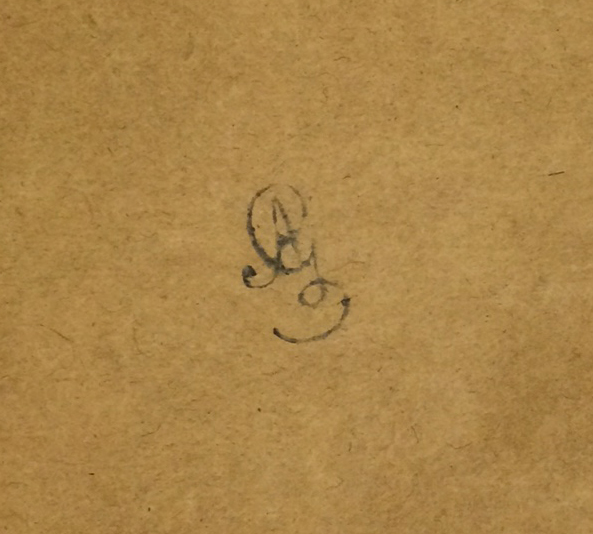 What we discovered with the Liebermann was a signature on the front of the drawing (seen in the bottom left corner above), an ink stamp that we were able to locate in Lugt (the published resource of identified collection marks and stamps) and a handwritten title on the back of the mat. The stamp (seen below) connected to a known art collector from the late 1800s. Sometimes, our detective work provides enough clear evidence to place the work in one of our auctions. However, nine times out of ten, we need to have it officially vetted by an expert. The Liebermann didn’t quite give us enough information to feel confident, so we researched whether the artist has an accepted individual, institution, foundation, or museum that acts as the authority on establishing authenticity. We learned that the Max Liebermann Archiv in Berlin actively reviews alleged works by the artist. Having collected and documented as much preliminary information about the work in question as possible, we felt confident that we were presenting the best and most complete case to the expert, Dr. Margreet Nouwen. 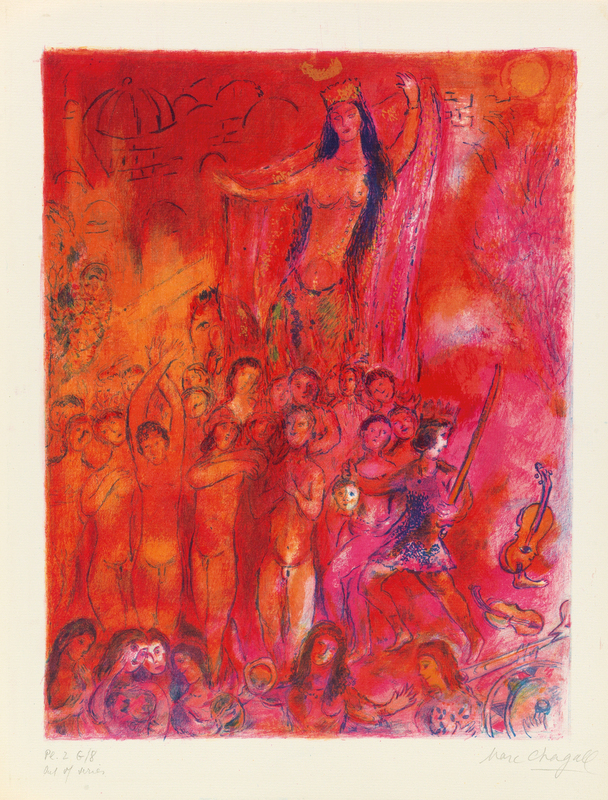 With the information at hand, Dr. Nouwen was able to identify the drawing as the preliminary sketch for a known painting published in a catalogue raisonné of the artist’s oil paintings and studies published in 1995-96. We learned where and when the drawing was executed (in 1893 during a five-week vacation the artist took in Italy with his wife and daughter), where it was likely exhibited and from what auction it entered the market (C.G. Boerner, Leipzig, in 1919). While it can be time-consuming, ultimately the detective work that goes into authenticating a work is necessary, rewarding and pretty fun. 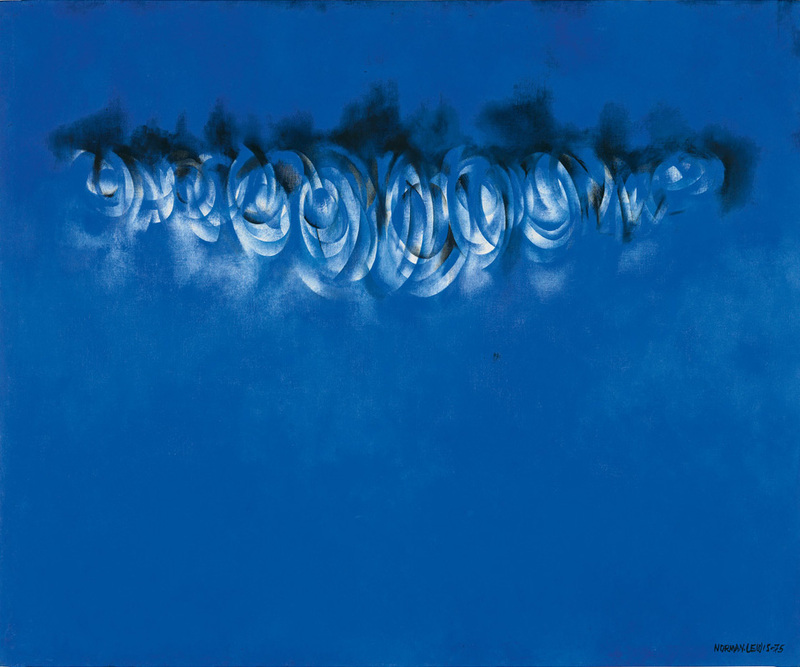 The authentication process not only provides information for potential bidders, it also further illuminates the history and career of the artist in question by adding another piece to the puzzle that is their complete catalogue of work. The Max Liebermann, and other drawings, are featured in our March 8 auction of 19th & 20th Century Prints & Drawings.